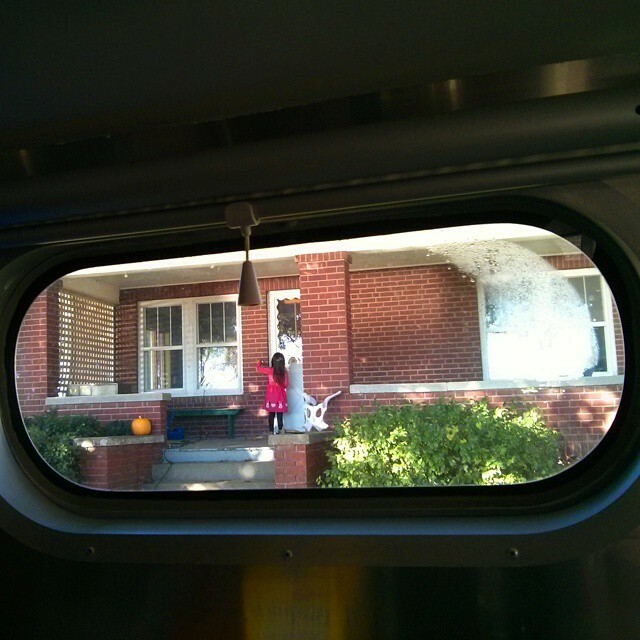 Mali Mish – Nebraska and Kansas: October 2014. We got here late and pulled into a large pull through spot. 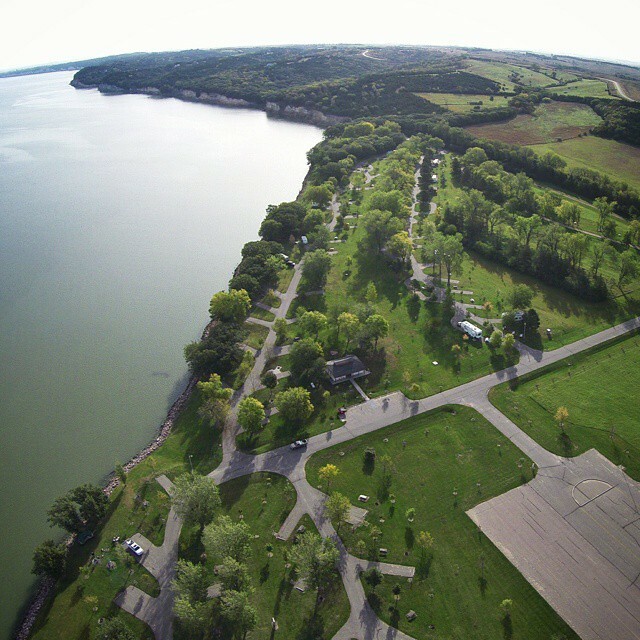 Our plan was to spend the next day learning about the Missouri River National Recreation Area and earn another Junior Ranger badge just down the road from here. 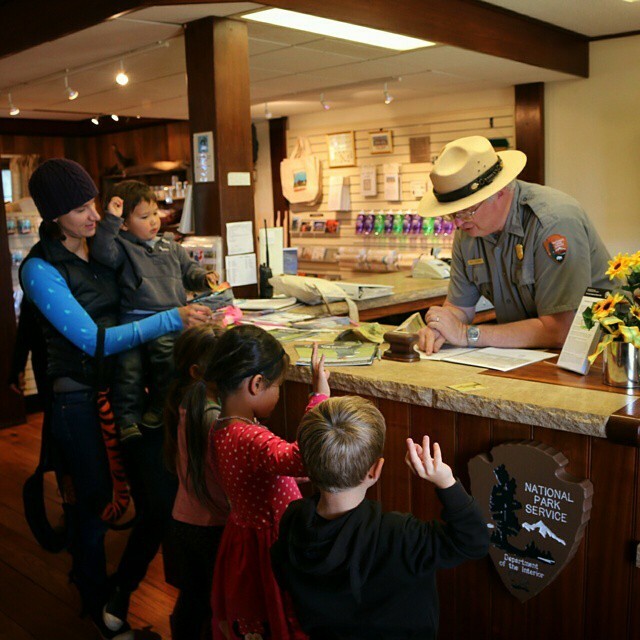 We got there in the morning and learned that the NPS visitor center had just moved back across the border in South Dakota. We hitched up and drove back across to spend the day there after spending a nice morning hanging out by the lake until check out. 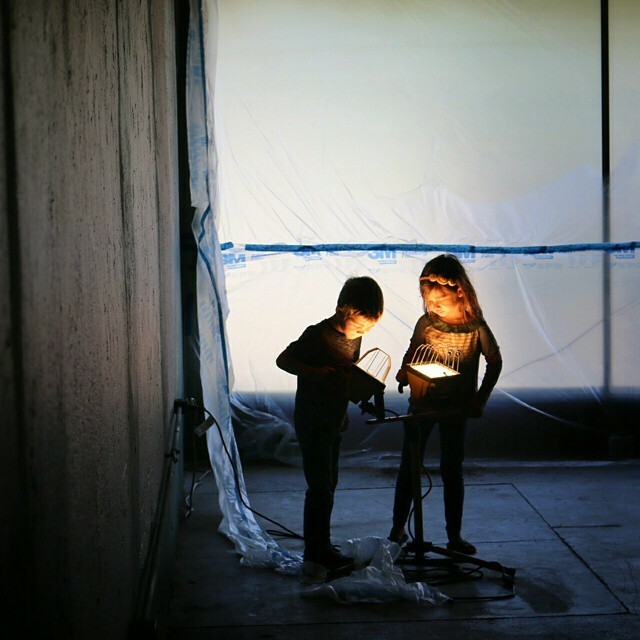 I worked in the Airstream in the parking lot while the kids and Marlene worked on their workbooks. We spent the afternoon driving toward Lincoln, Nebraska hoping to check out the posh downtown dining scene for a nice meal. But after driving around looking for a reasonable place to park the Airstream, we gave up and kept moving until we found a small town Walmart for the night. After our second night in Nebraska we made it to Homestead National Monument near Beatrice, Nebraska. 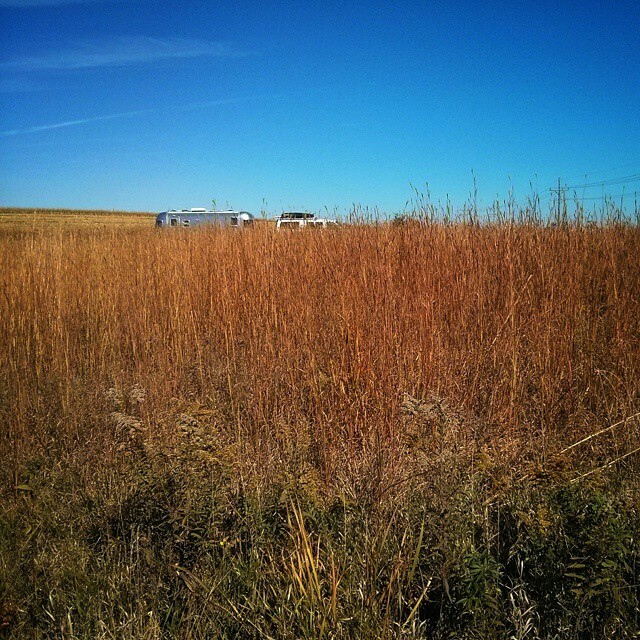 Less than one percent of the original wild tallgrass that once covered the prairies of the Midwest remain. 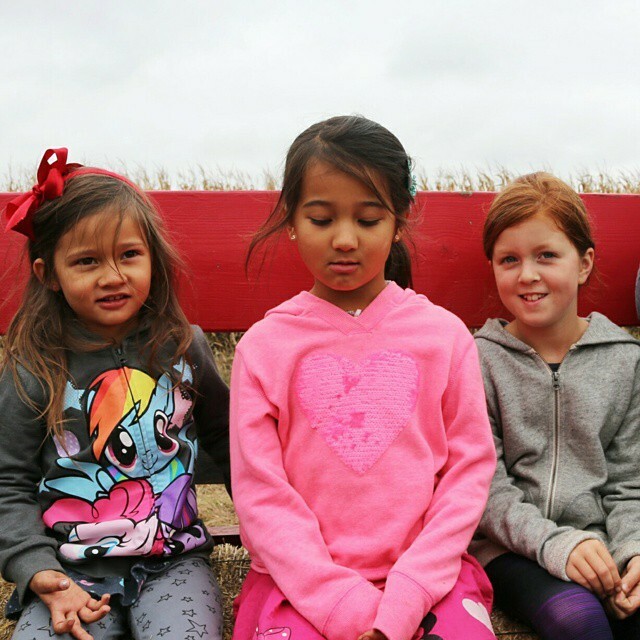 We happened upon a small patch of tallgrass that covers the former playground of a schoolhouse that sits on the first homestead of the United States. 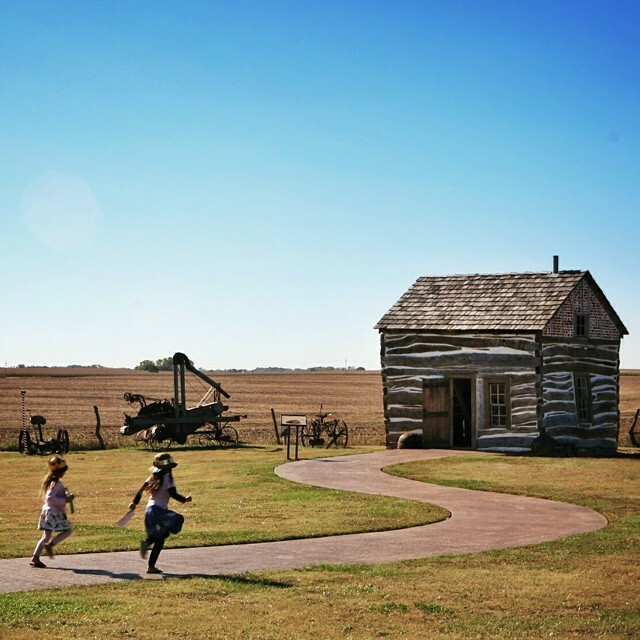 In 1862, the Homestead Act became the law of the land. Anyone who wished to file for a claim and did the necessary work to improve the property got a chance a land ownership. It is hard to put all that was happening at that time of our history together. In 1861, our country, lead by Abraham Lincoln was torn in half by the issue of slavery. All while this was happening in the east, there was a massive expansion of homesteaders flooding into the west. It was an exciting and trying time for our country with a lot of uncertainty. 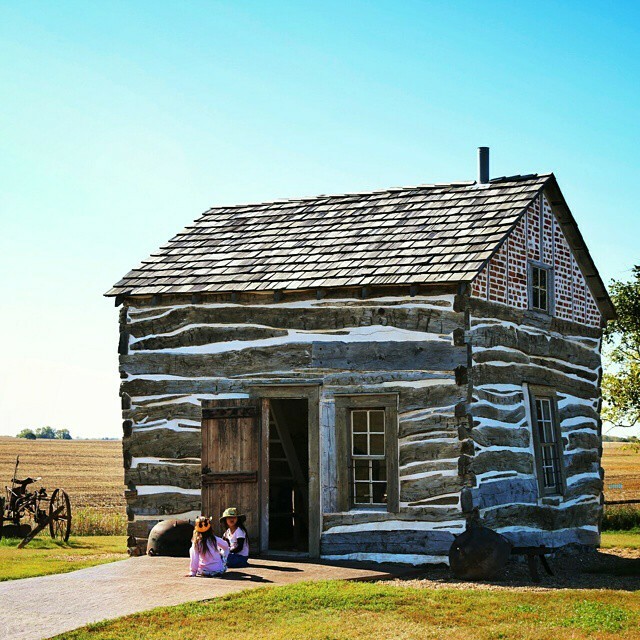 It is right here a few miles outside of Beatrice, Nebraska, Daniel and Agnes Freeman became the first to file claims on a 160-acre plot of land from the passing of the Homestead Act of 1862. This was the first of the eventual 270 million acres of federal land that transferred to private ownership. 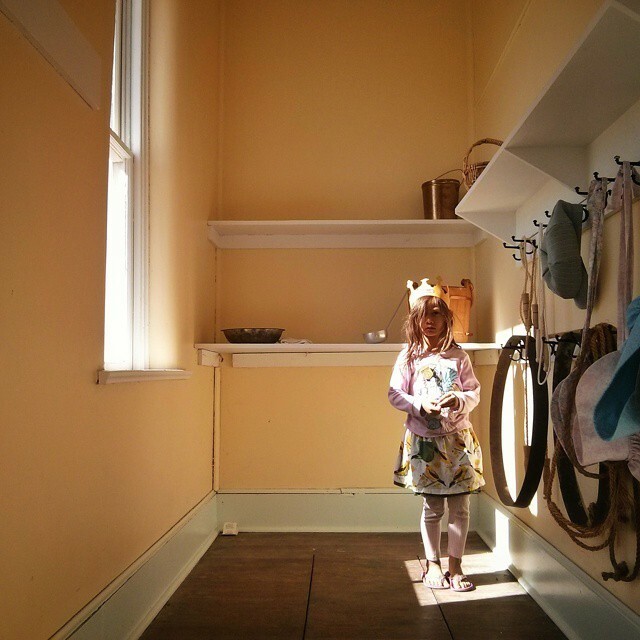 Today’s homeschool is in an old schoolhouse on the first homestead in the United States. 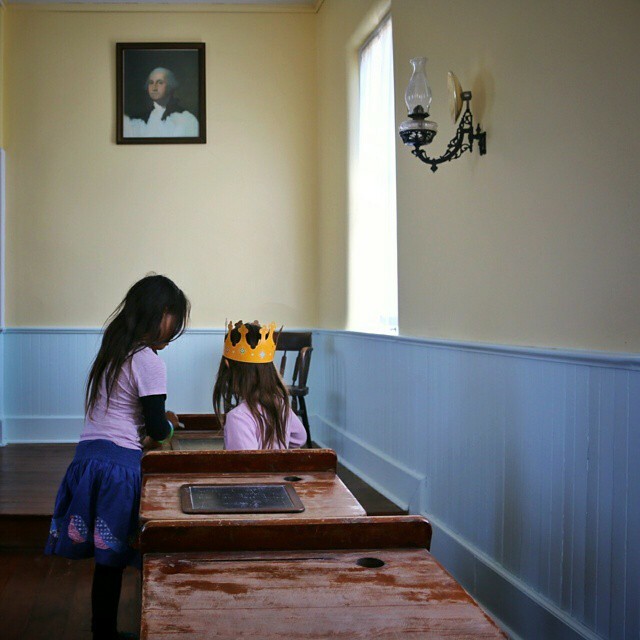 I wonder if the kids from this 19th century schoolhouse also wore their Burger King hats to class? 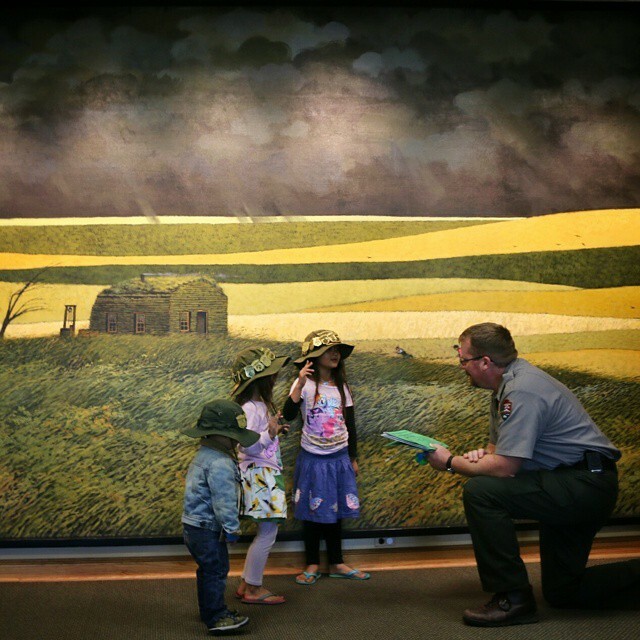 And the award for best mural at a national park site goes to… Homestead National Monument. A couple of years ago, we made a personal rule to keep us honest. It’s called ‘Two Nights and a Bite’. With every state we visit, we couldn’t mark it off of our list unless we stay a minimum of two nights and eat at a local restaurant. It’s a simple rule but sometimes it is tough to follow. In Nebraska we did our minimum to make it count but we will definitely need to come back to find more hidden gems. 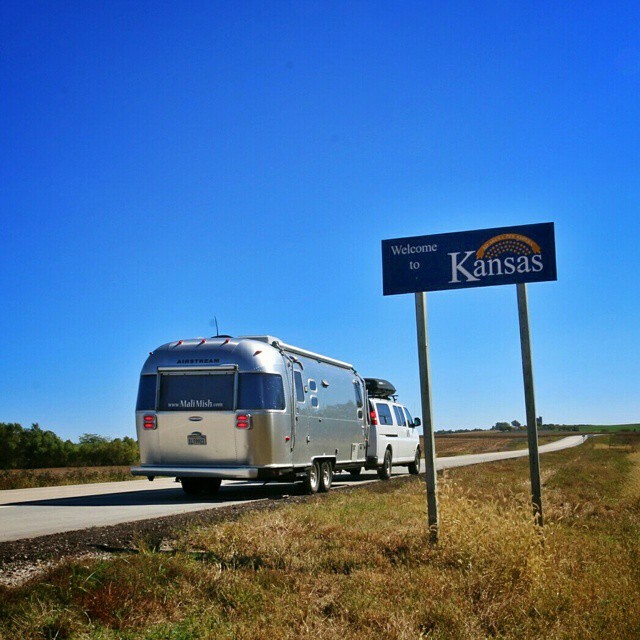 As we traveled further south, we finally arrived at the last of the lower 48 states with the Airstream: Kansas. Our first stop in Kansas is a pass through of Topeka on our way to Kansas City. 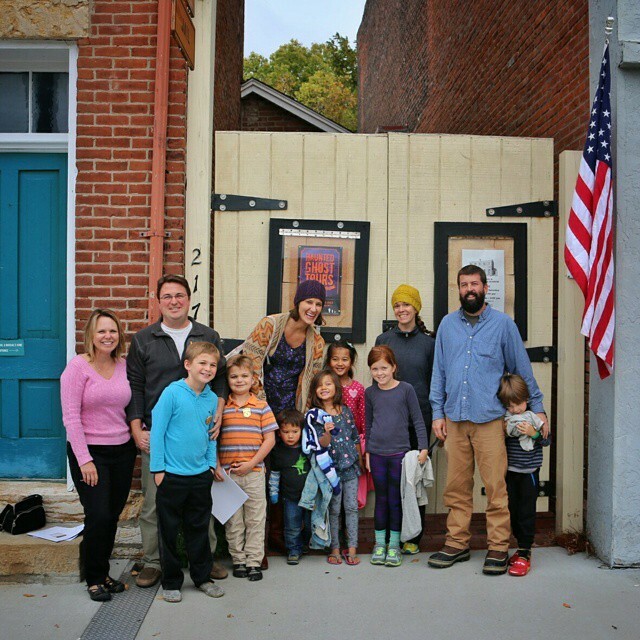 We stopped at the Monroe School. Also known as the Brown vs. 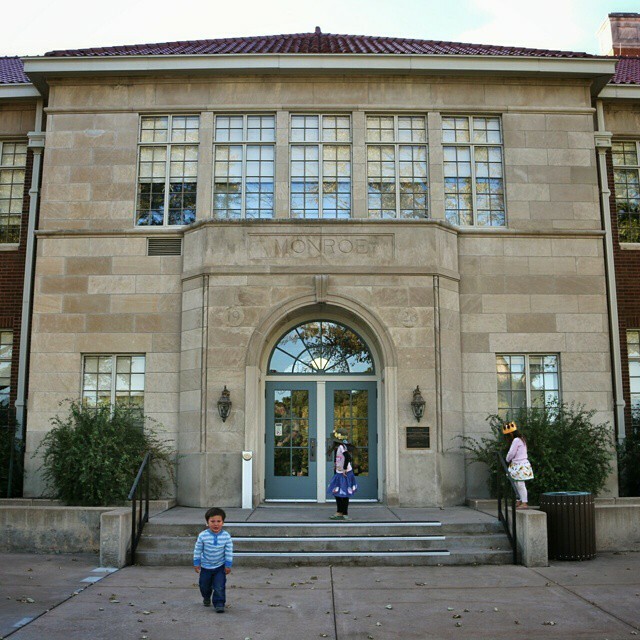 The Board Of Education National Historic Site. In 1951, Oliver Brown’s daughter Linda had to walk 6 blocks every morning to catch a school bus so she can ride it to the Monroe school another mile away everyday to attend elementary school when there was another school just 7 blocks from her house. The problem was that school was for white students only. At the time, more than 100 years after the Emancipation Proclamation, white kids and black kids were still unable to attend the same school. 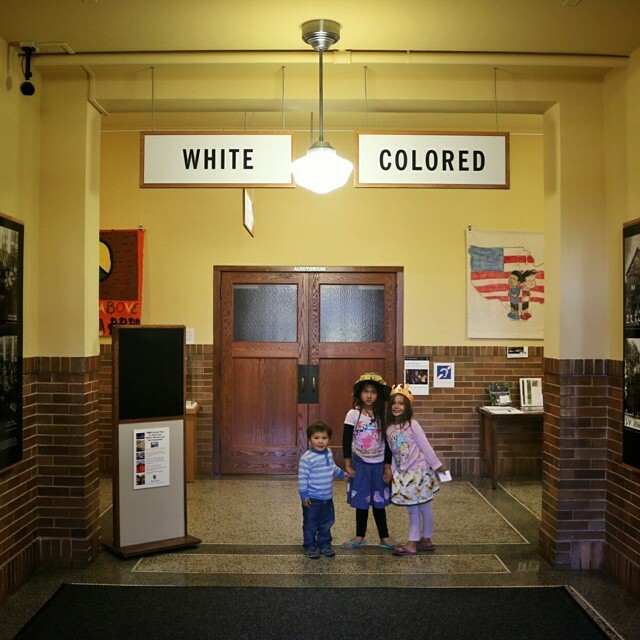 Segregation, or Separate But Equal, was the prevailing attitude towards racial relations. But segregation was no where from being equal. In a landmark ruling by the Supreme Court over a class action lawsuit called Brown vs. The Board of Education, segregation was overturned unanimously as it was deemed a violation of the 14th amendment. That was just the beginning of a long road toward complete integration of the races but it all started right here. We left Topeka and made our way to Prairie Village in the suburbs of Kansas City, Kansas. 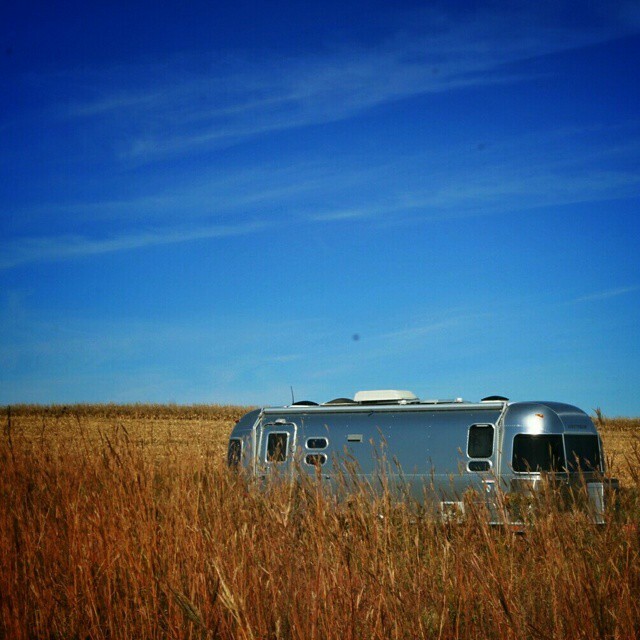 In the spring of 2013, Sam and Jessica left Kansas City on a year long trip to see the country in an Airstream. 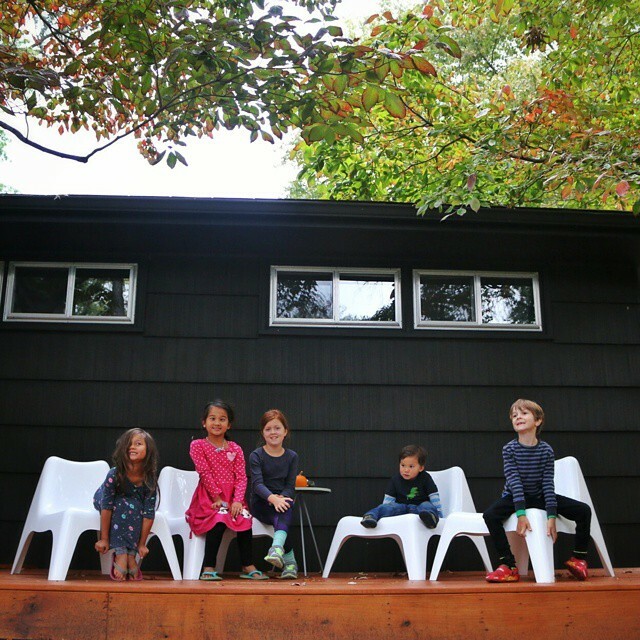 Here we got to reunite with our former full time travelers at their house where we got to camp on their drive way in what Sam call’s ‘The Best Cul-de-sac in the World’. The kids loved being able to reunite with their friends. Luka was a bit small to remember much but Ava and Mila really missed Lola and Hank since we last saw them in California a year ago. 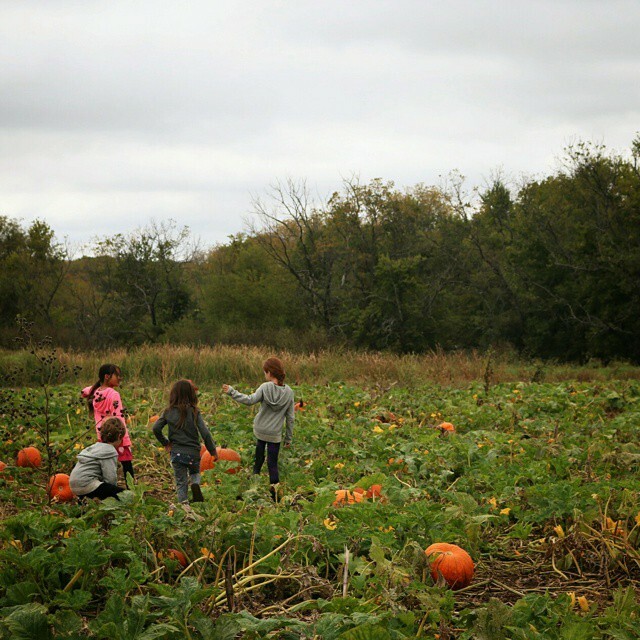 We got to spend a couple of days eating BBQ from Oklahoma Joe’s and go pick pumpkins at a patch and eat cider donuts. 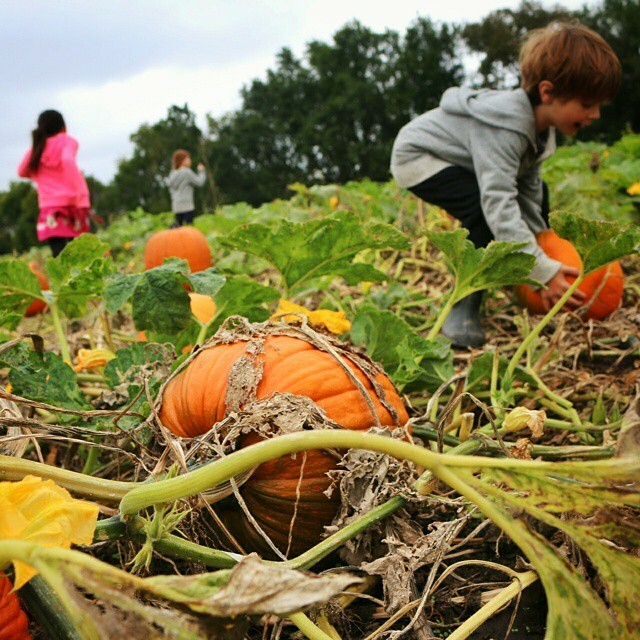 They stayed up til midnight the night before the pumpkin patch. 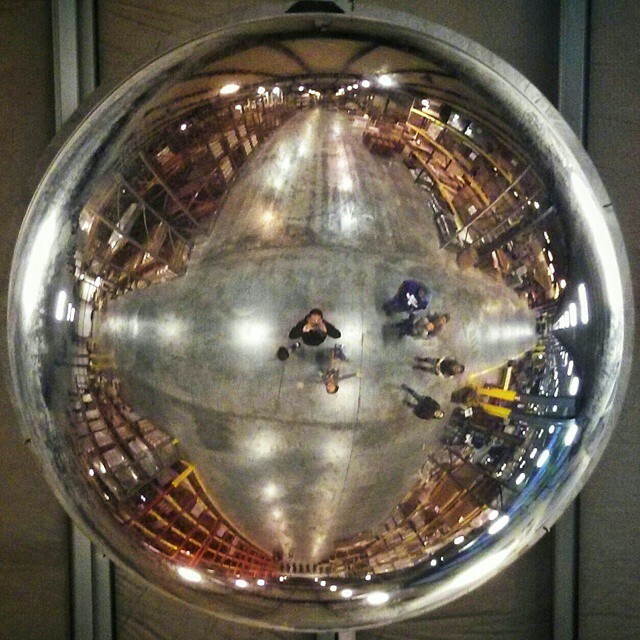 Who needs sleep when there are little Airstream friends around? 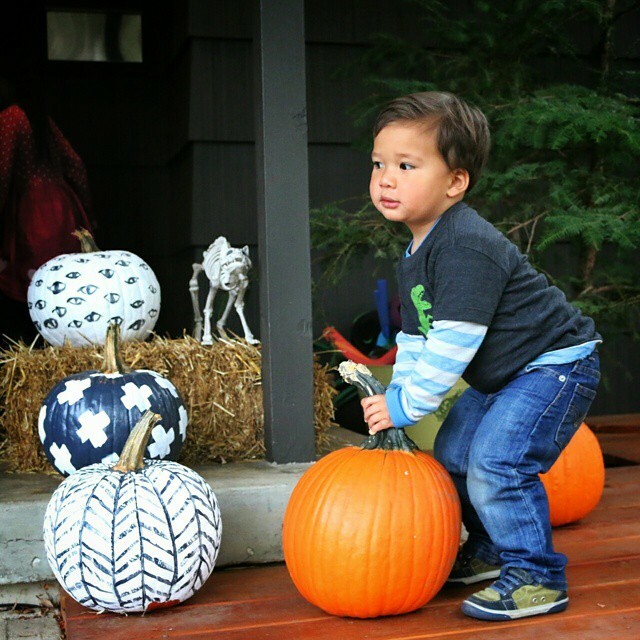 Here is Luka trying to steal a pumpkin for the road. While we were here with Sam and Jessica, we made our way over to the Missouri side of Kansas City to see Harry Truman’s house. 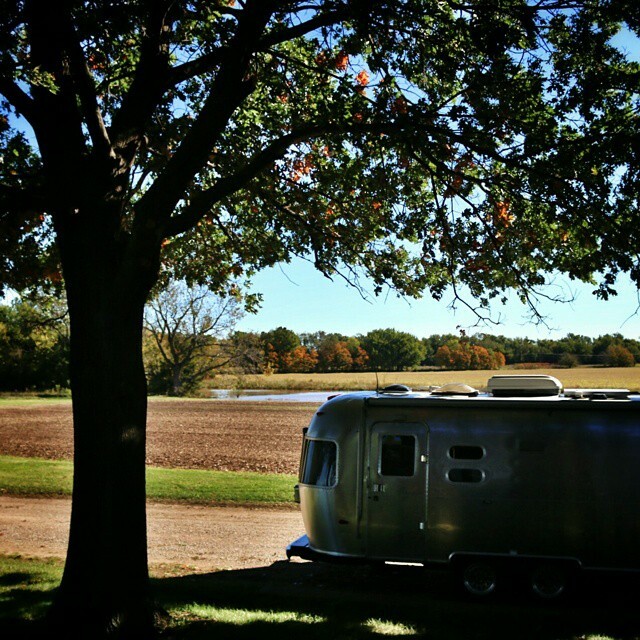 It is here where we first got to meet another new Airstream family whom we have been missing in the northeast in the last few months. If you follow us on Instagram and Facebook, you would know that we have become quite good friends with them since. Our next stop in Kansas is a place we have been looking forward to visiting for a long time. 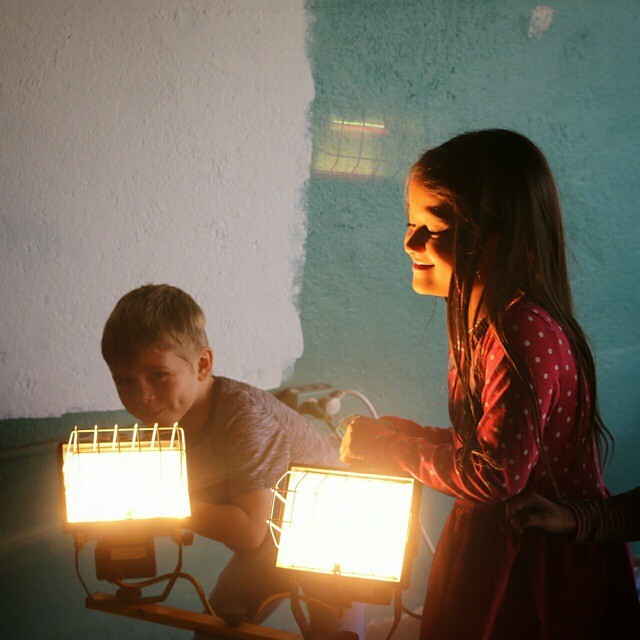 In fact, the kids could not wait to get here. 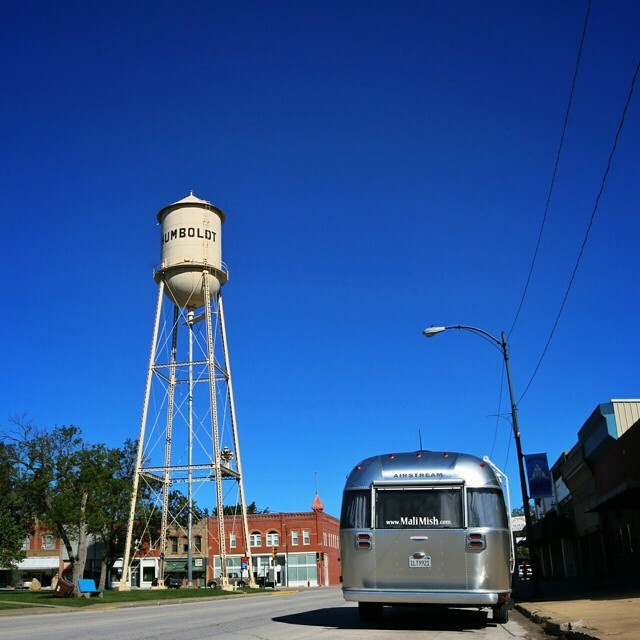 It is a small town named Humboldt, Kansas. 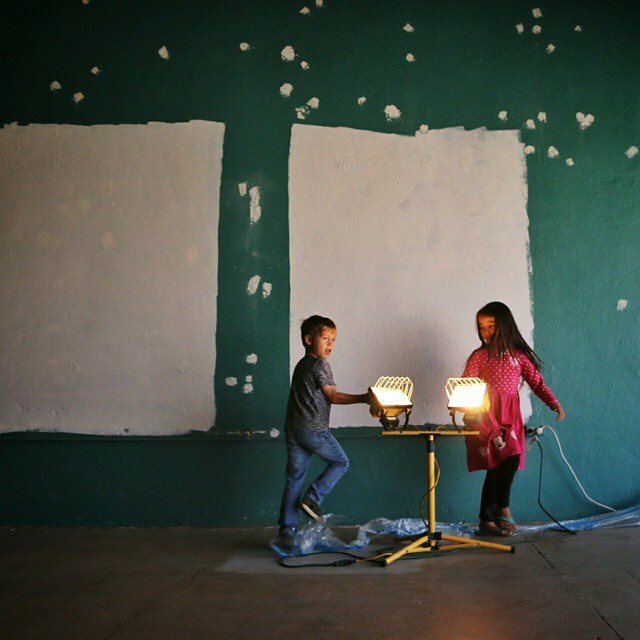 We got to Humboldt, Kansas to spend a couple of nights with our friends Josh, Jessa and their son Jack. We last saw them in Idaho near the beginning of our loop around the country. After we split up, they headed back to Humboldt where Josh grew up and ended their 4 years on the road and settled back into a house. We had a couple of big days planned but it rained for our entire stay. 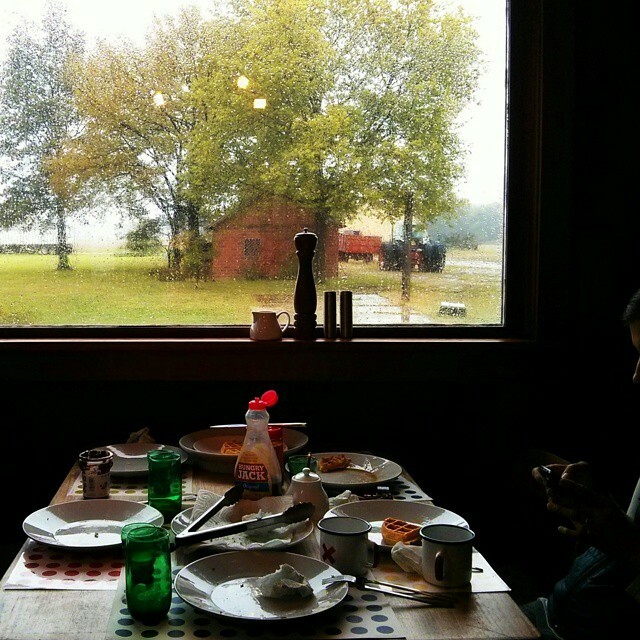 As it turns out, spending the day indoors at the Works Farm hanging out and catching up was exactly what we needed. 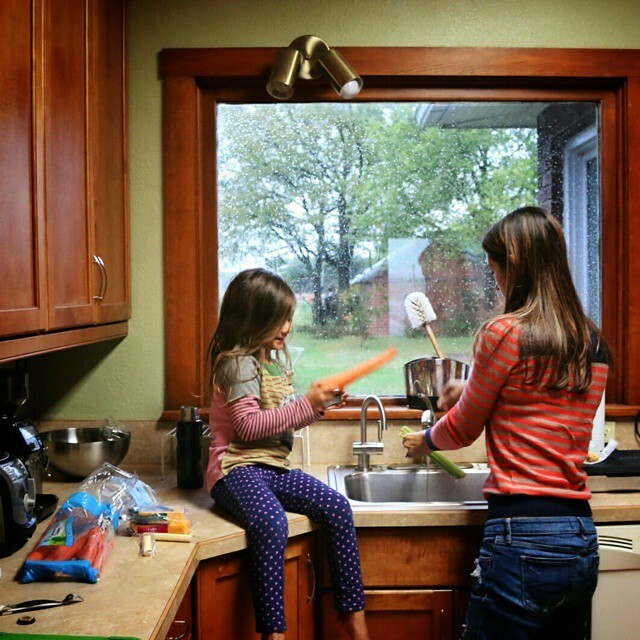 A home cooked meal in a farm house on a rainy day. Life in a house isn’t all bad. Josh’s family has deep roots here in Humboldt. 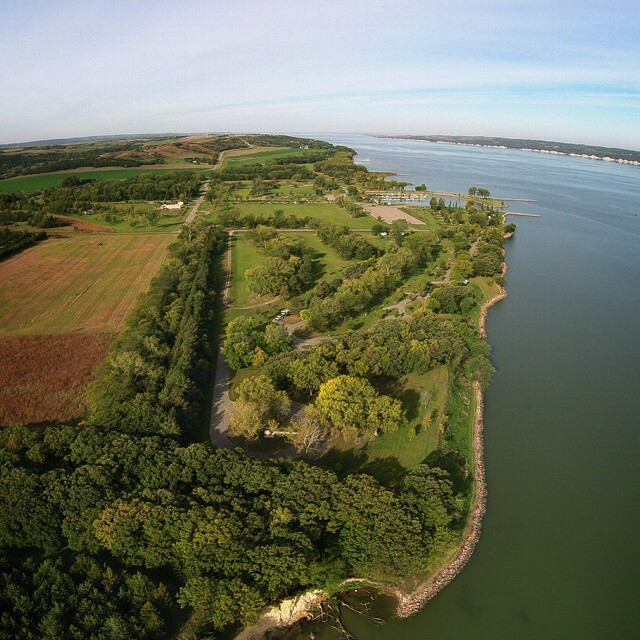 His family has been farming the land here for several generations. His father also started a manufacturing business that has become the biggest employer in the area. We got to go on a tour of their facility which was completely amazing. It is called B&W Trailer Hitches in Humboldt, Kansas. The ‘W’ stands for Works after Josh’s father. 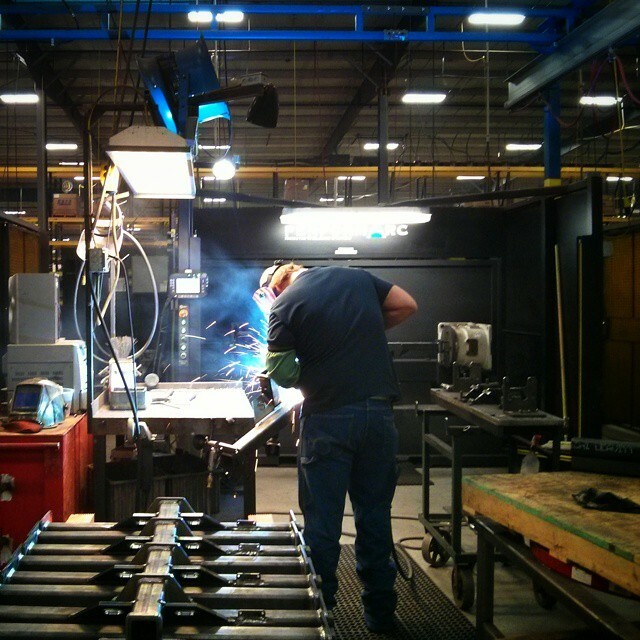 It’s an American owned and operated factory employing hundreds of people within a 50 mile radius of Humboldt, Kansas. When they say ‘Made In America’, this is exactly what everyone pictures in their head. Traveling with another family like we have with the Works even for a short time is like spending years with friends living in the same town. During our time together, we are practically neighbors that do everything together. When we still lived in a house, I think we saw less of our friends in a year than we do just a few days caravanning with someone. Here is Mila and Jack. These two bicker like an old married couple. Quick, take a picture before they start again. The hardest part of traveling is always saying goodbye. Especially when you find a little buddy to cause shenanigans with all over this beautiful country of ours. They all have their favorite Works family member. Ava loves Jack. As we left Humboldt, the Works drove with us out to Fort Scott, Kansas for the afternoon to earn a Junior Ranger badge for old time sake. 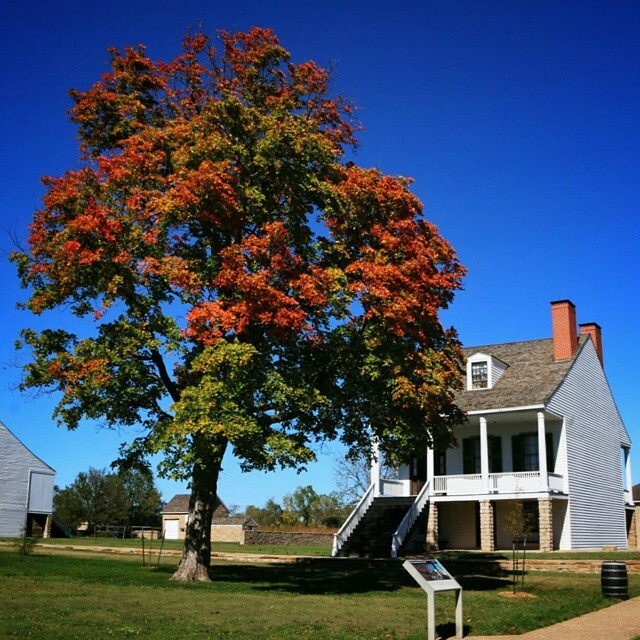 Fort Scott is too getting in on the autumn action. Colorado, California, Washington, British Columbia, Alberta, Montana, Wyoming, Arizona, Utah, Nevada, Oregon, Idaho and finally Kansas are all the states and provinces we have explored with the Works. We’ve climbed to the top of cinder cone volcanoes, circled our wagons in dry lake beds and walked thru acient Puebloan ruins together. 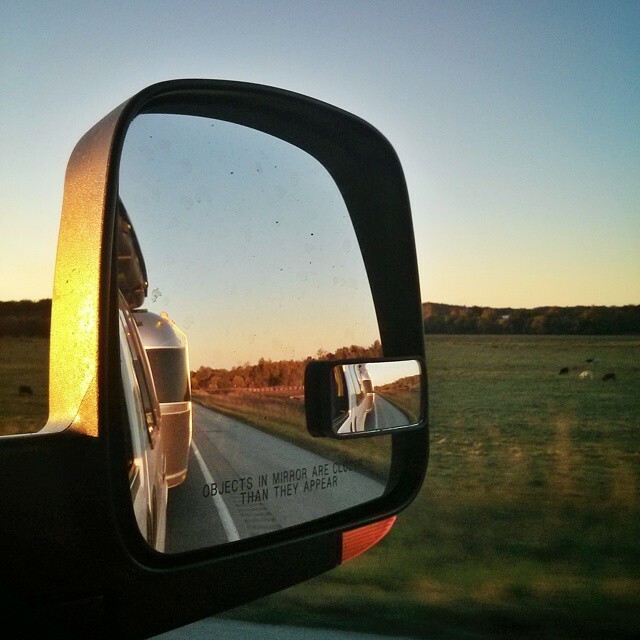 As we bid our farewell and left Kansas, for the very first time in all our meetups, we don’t know when we will see them again. We are grateful to have friends like them. A friendship that was only possible because we both followed through with our dreams. With 48 states in the back and Halloween just around the corner, we are going to be doing some serious hauling back to the west coast from here.